Go for Business Establishment in Umm Al Quwain free zone; the investment friendly and industry focused hub for startups and foreign businesses. Dubai Business Services helps you establish your business presence in strategically located free zone of Umm Al Quwain in a cost effective and efficient way. Our specialized local team carries out the entire business establishment process on your behalf and lets you get your required business license in the region without any problem or delay. 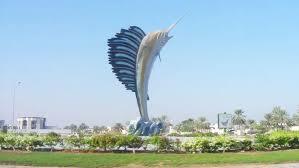 Why to go for Business Establishment in Umm Al Quwain Free Zone? Umm Al Quwain free zone is located just one hour drive away from Dubai and Sharjah International airport and is based on the key seaport in the UAE. Thus business establishment in Umm Al Quwain free zone lets businesses enjoy lucrative investment opportunities and access to local and global markets easily. Business establishment in Umm Al Quwain free zone is an ideal opportunity for SMEs, startups and Conglomerates since this region offers one of the best and most dynamic environments for profitable investments in UAE. Our expert and experienced business formation team works hand in hand with you to get your desired license in a smooth and hassle free manner. At Dubai Business Services, our team offers personalized support, management and consultancy services to all businesses looking for business establishment in Um Al Quwain free zone. Our approach to business consultancy in formation, licensing, forming the most suitable corporate structure and more, greatly facilitates businesses to take the right steps in UAE. Give us a call to set an instant appointment.